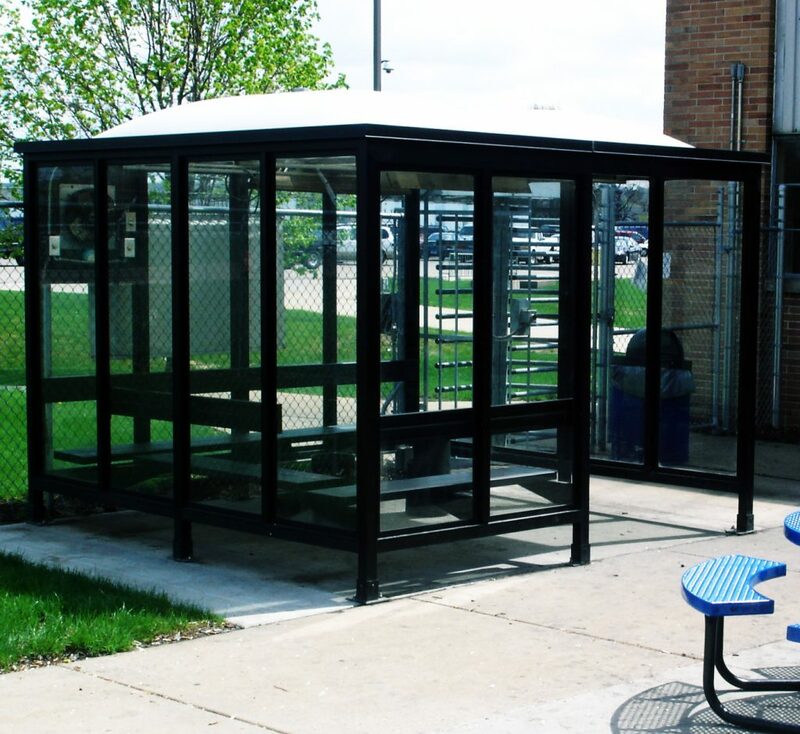 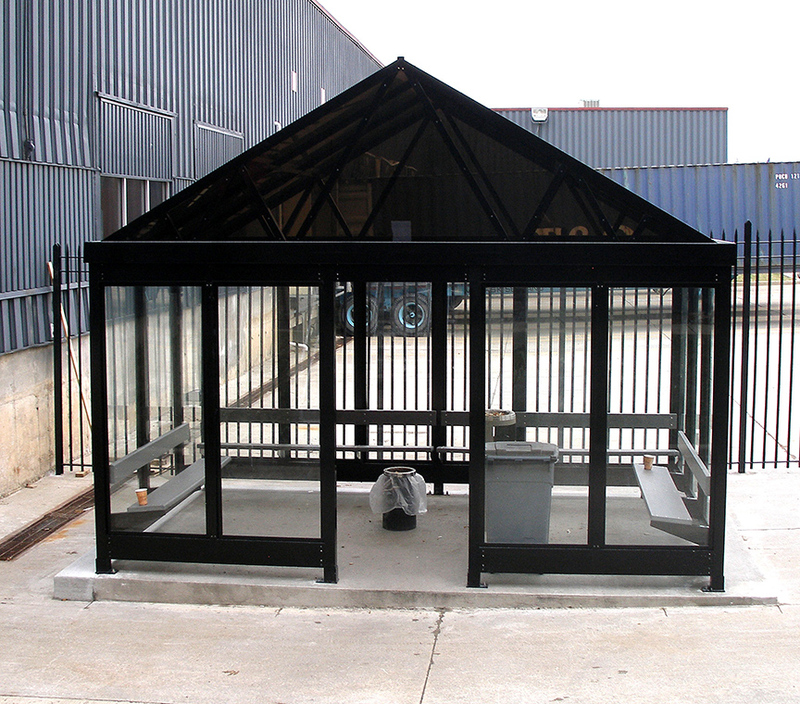 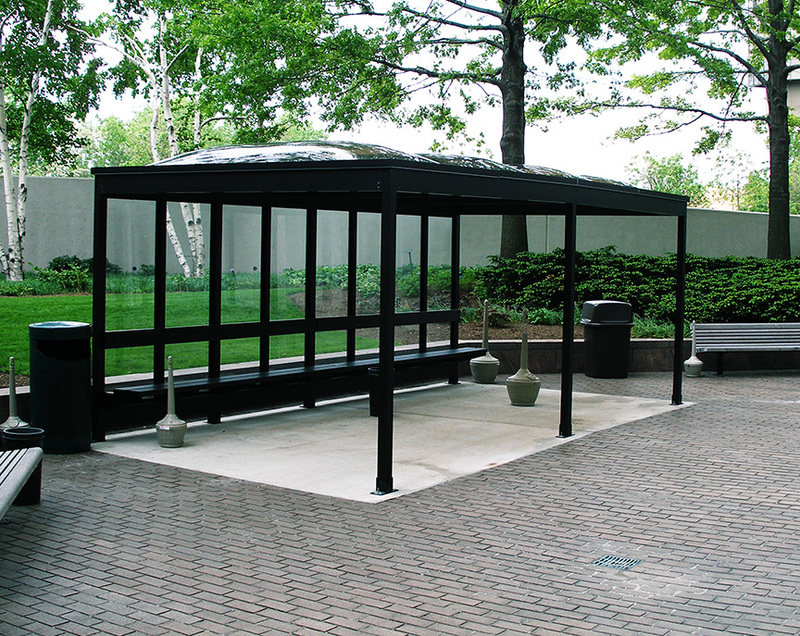 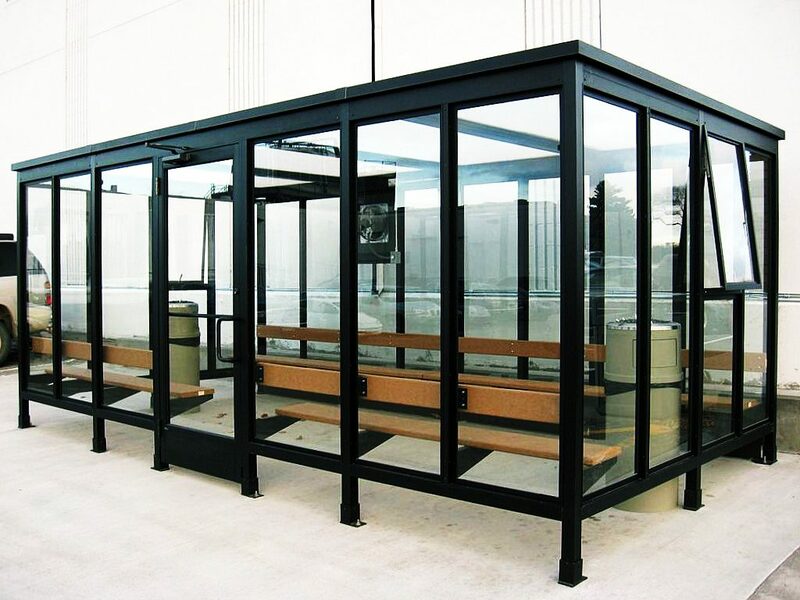 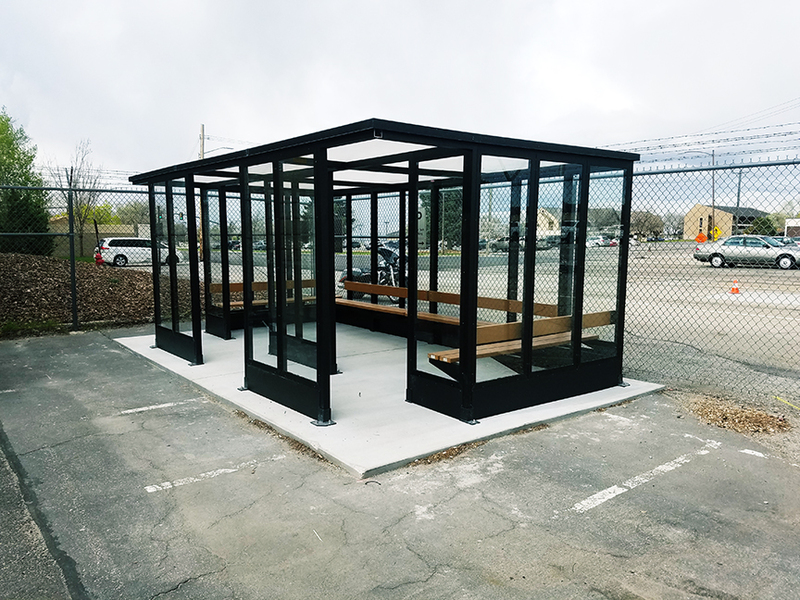 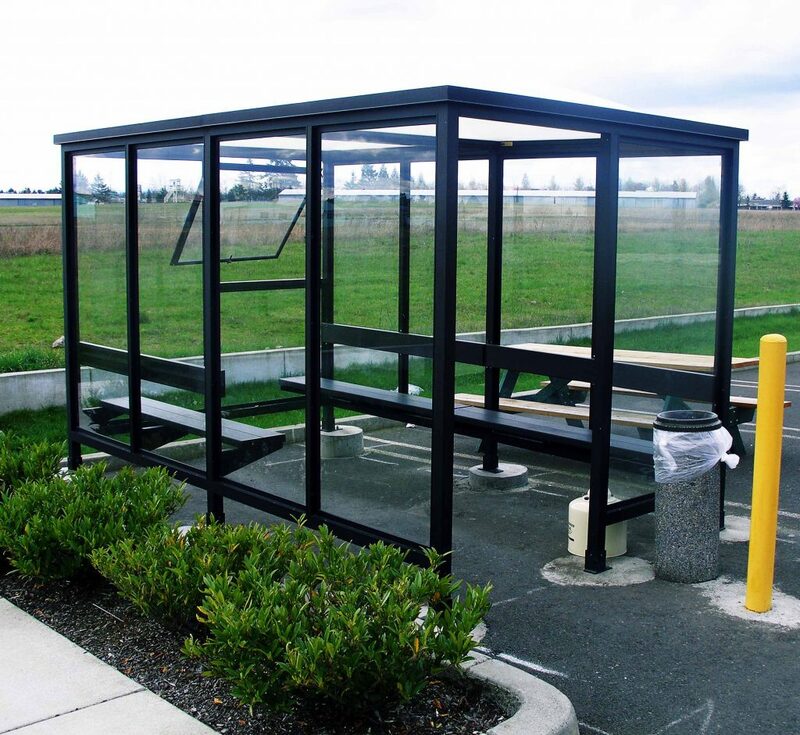 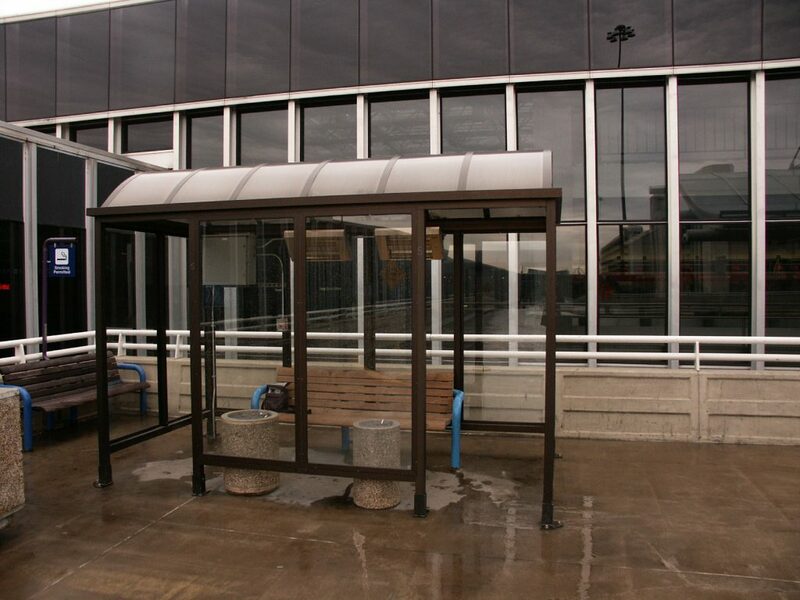 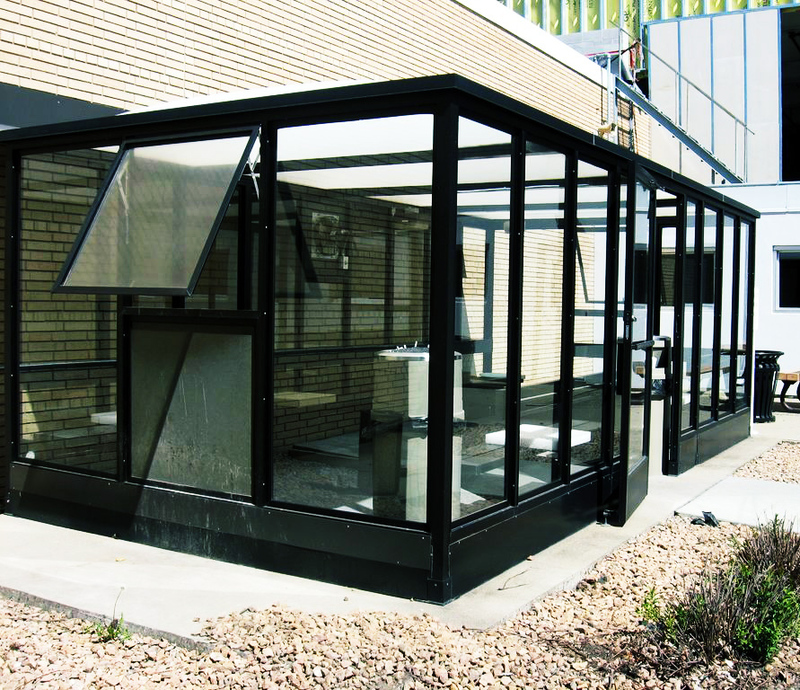 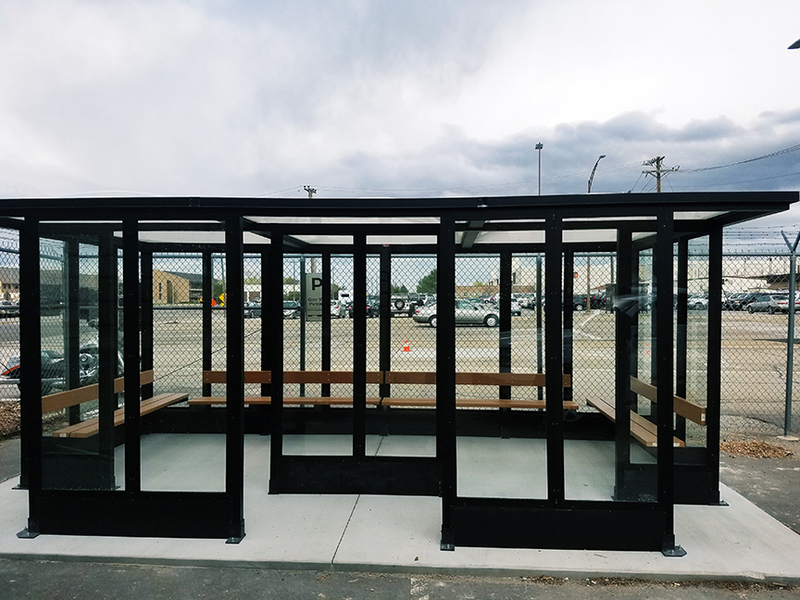 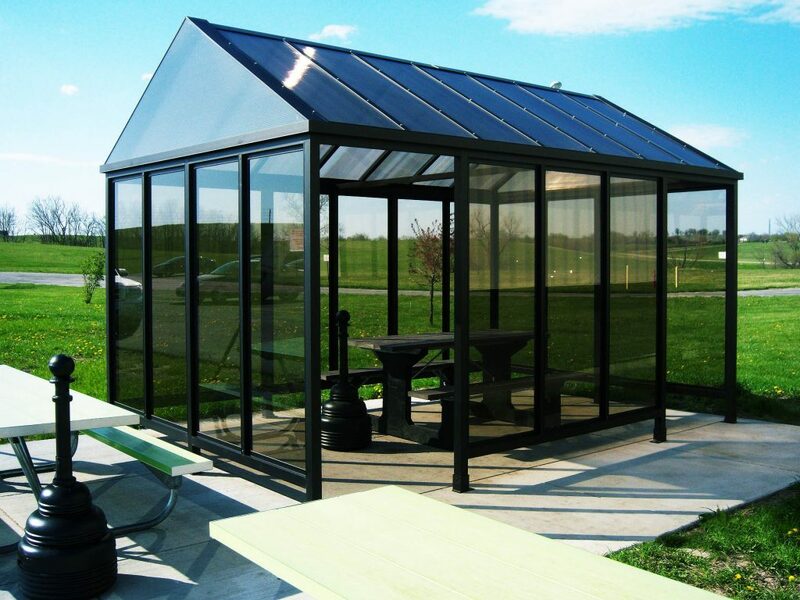 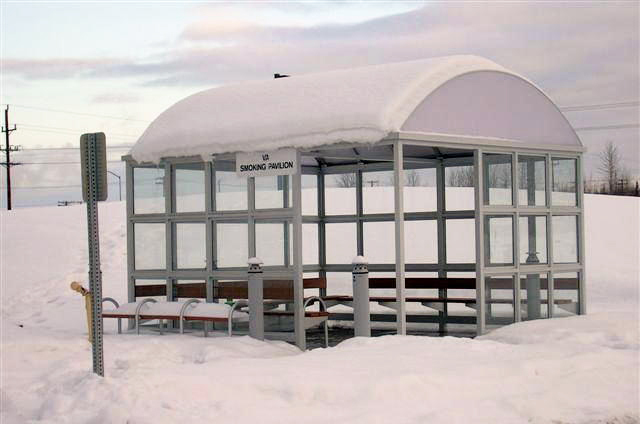 Our smoking shelters share identical features to that of our Slimline transit shelters and offer a wide variety of sizes and options. 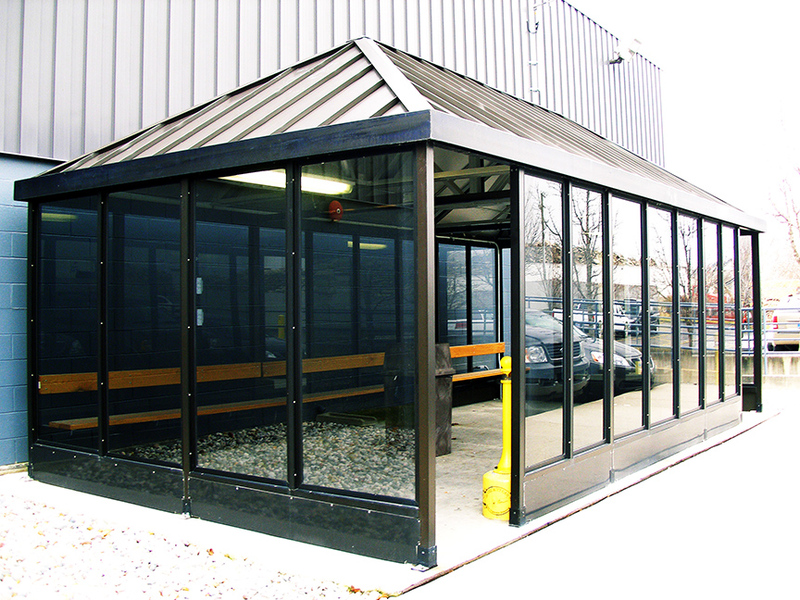 Protect your workers with a safe, secure shelter while keeping them close to their workspace, reducing downtime. 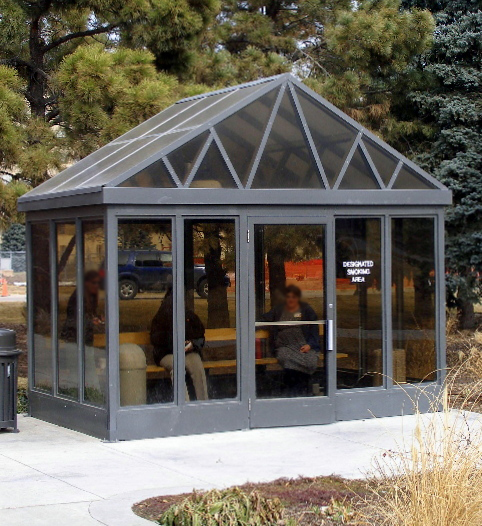 Smoking shelters aid in keeping entryways smoke and litter-free. 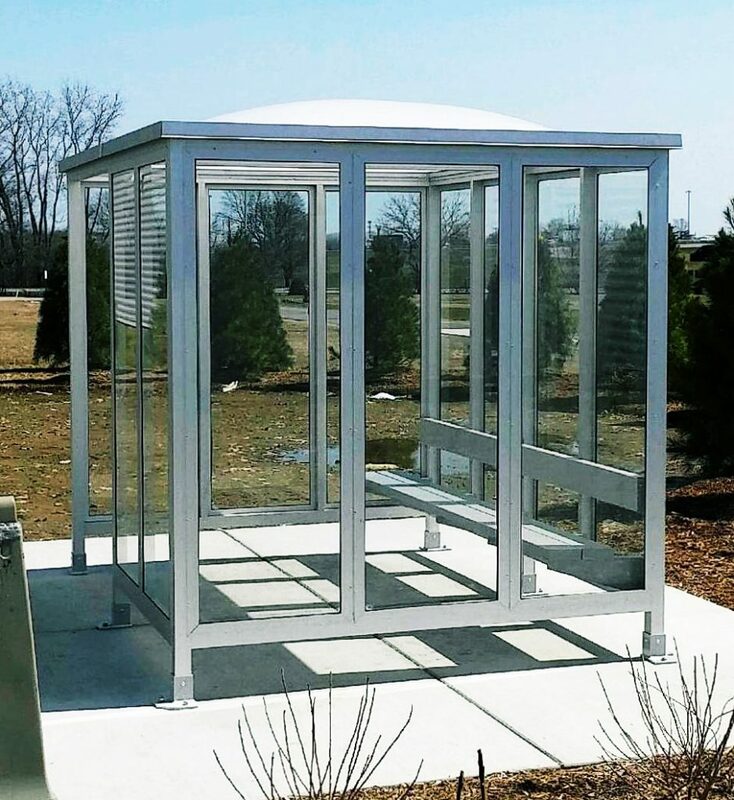 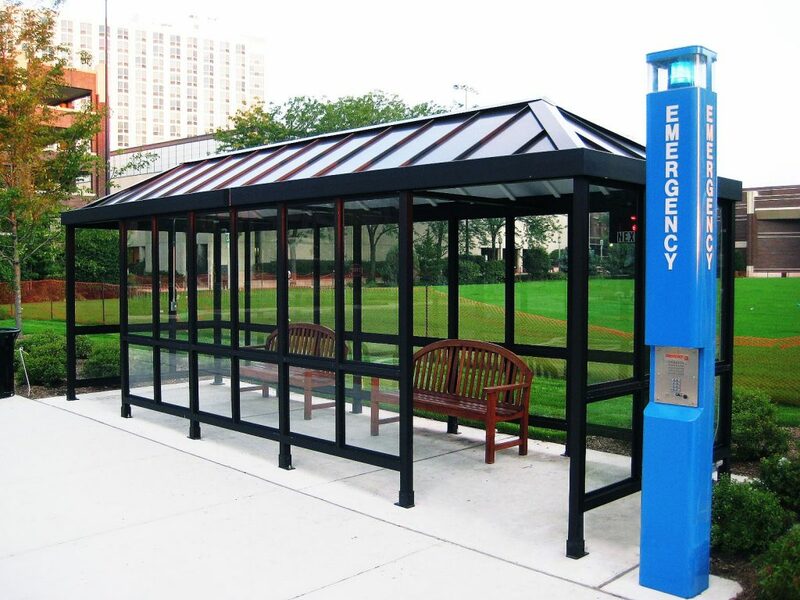 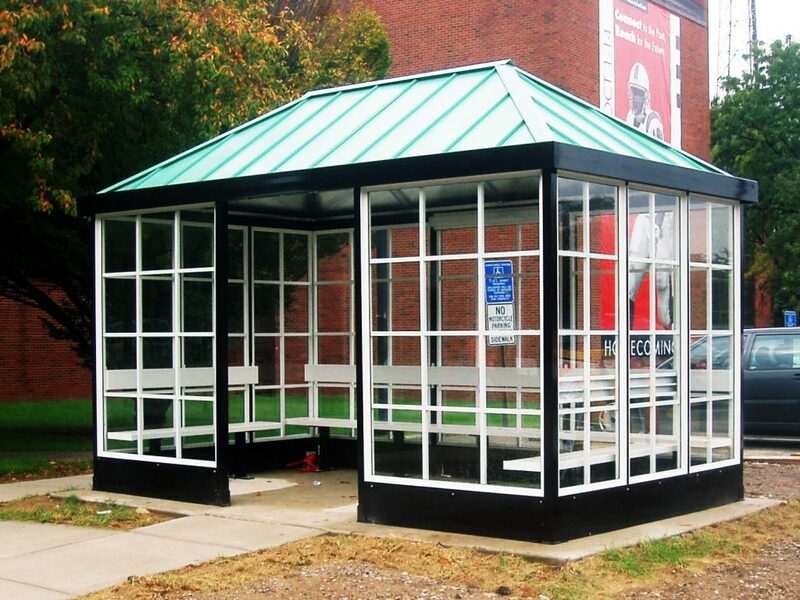 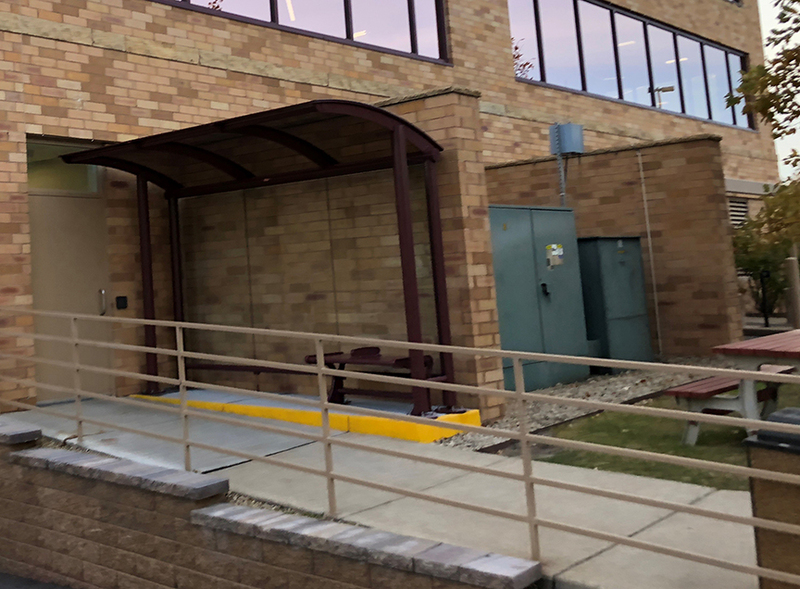 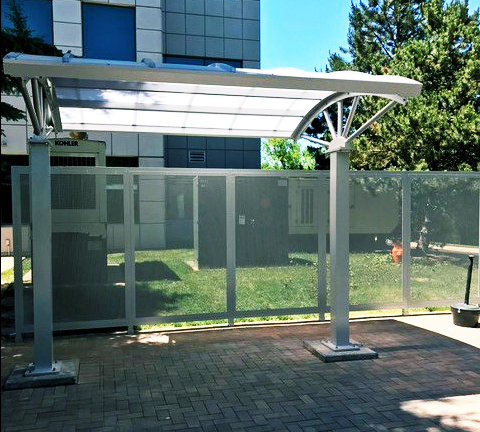 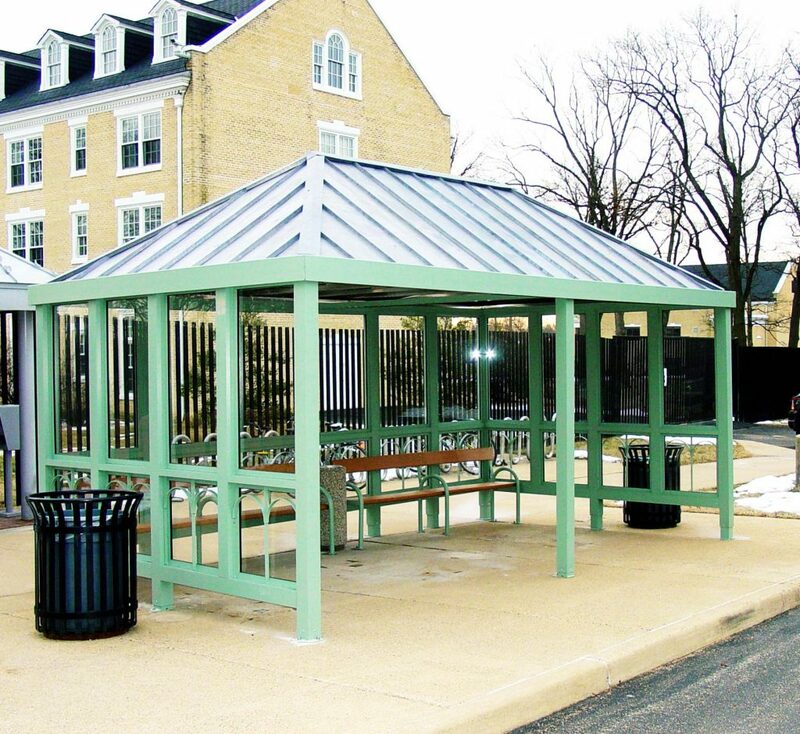 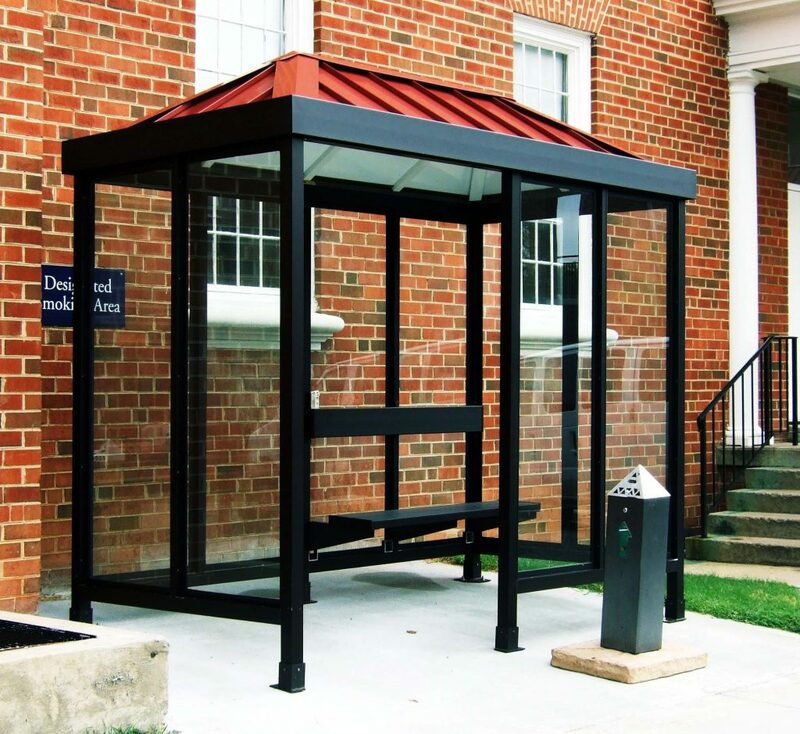 Keep it simple with a standard anodized finish and tempered glass, or match your smoking shelter to your building’s branding and style with powder coat finish and optional perforated aluminum panels. 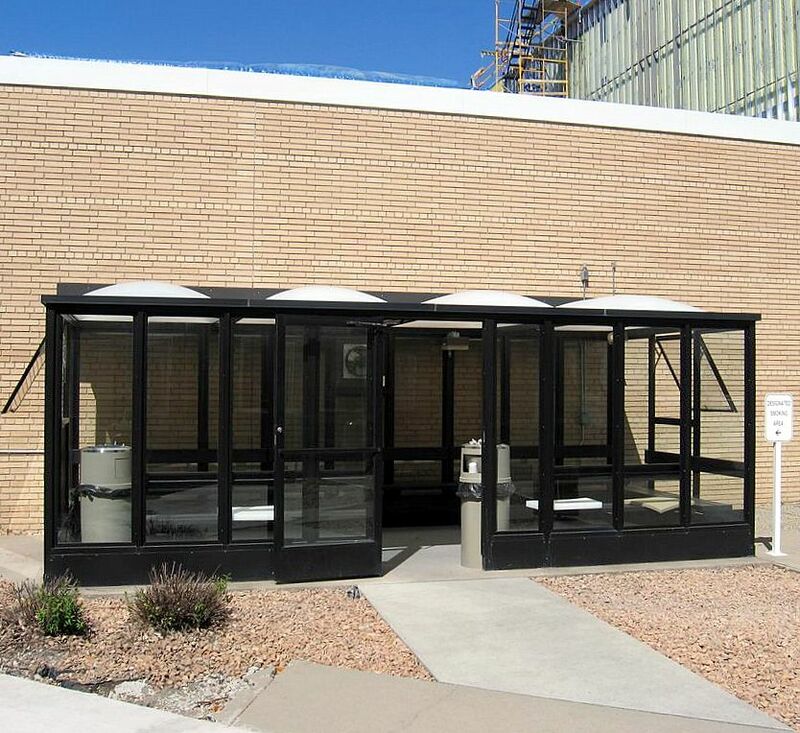 Brasco can incorporate doors, windows, vent fans, and heaters into our design.